Our number one policy is to provide the highest quality products, with impeccable customer care at a fair price! We call this VALUE! Your access to and use of www.marineproducts.net is subject exclusively to these Terms and Conditions. You will not use the Website for any purpose that is unlawful or prohibited by these Terms and Conditions. By using the Website you are fully accepting the terms, conditions and disclaimers contained in this notice. If you do not accept these Terms and Conditions you must immediately stop using the Website. The contents of www.marineproducts.net website does not constitute advice and should not be relied upon in making or refraining from making, any decision. 4.1 change or remove (temporarily or permanently) the Website or any part of it without notice and you confirm that www.marineproducts.net shall not be liable to you for any such change or removal and. www.marineproducts.net Website may include links to third party websites that are controlled and maintained by others. Any link to other websites is not an endorsement of such websites and you acknowledge and agree that we are not responsible for the content or availability of any such sites. 6.1 All copyright, trade marks and all other intellectual property rights in the Website and its content (including without limitation the Website design, text, graphics and all software and source codes connected with the Website) are owned by or licensed to www.marineproducts.net or otherwise used by www.marineproducts.net as permitted by law. 7.2 To the extent permitted by law, www.marineproducts.net will not be liable for any indirect or consequential loss or damage whatever (including without limitation loss of business, opportunity, data, profits) arising out of or in connection with the use of the Website. 7.3 www.marineproducts.net makes no warranty that the functionality of the Website will be uninterrupted or error free, that defects will be corrected or that the Website or the server that makes it available are free of viruses or anything else which may be harmful or destructive. 7.4 Nothing in these Terms and Conditions shall be construed so as to exclude or limit the liability of www.marineproducts.net for death or personal injury as a result of the negligence of www.marineproducts.net or that of its employees or agents. You agree to indemnify and hold www.marineproducts.net and its employees and agents harmless from and against all liabilities, legal fees, damages, losses, costs and other expenses in relation to any claims or actions brought against www.marineproducts.net arising out of any breach by you of these Terms and Conditions or other liabilities arising out of your use of this Website. If you are unhappy for any reason with a Birdsall Product, return it to us, prepaid, within 30 days in its original condition for an exchange or refund. 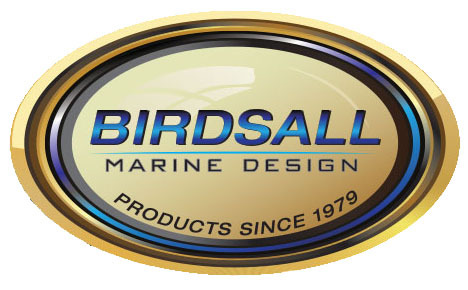 All products which are manufactured by Birdsall Marine are warranted against defects in materials and workmanship for a period of one year from date of purchase. This warranty applies only to the original owner. This warranty does not cover damage from accidents, failure to maintain properly, negligence, or normal wear and tear. This warranty is void if repairs have been attempted or made by any unauthorized person. If for some reason your product has a defect within the terms of this warranty, contact Birdsall Marine. If the product is covered by the provisions of this warranty we will repair or replace the product, at our option. If, however, we determine that the repair is not under the provisions of this warranty , the product will be repaired at a reasonable charge for labor and materials. If the defective product is small enough to UPS, send to Birdsall Marine Prepaid. © 2018 BIRDSALL MARINE DESIGN. All Rights Reserved.